After a long time without remarkable changes on the pusher game market, Elaut started a new generation pusher game. Black Beard’s Bounty is a beautiful 6-player with plenty new ideas. The Mistral is fully automatic and combines a high quality level with a brand new game type. The player receives a credit of tokens by inserting coins or bills, displayed on the display in the centre of the playfield. Align the arm by means of the joystick to the desired position and launch the tokens by pushing the pushbutton. Rapid play permitted by keeping the button pressed in. 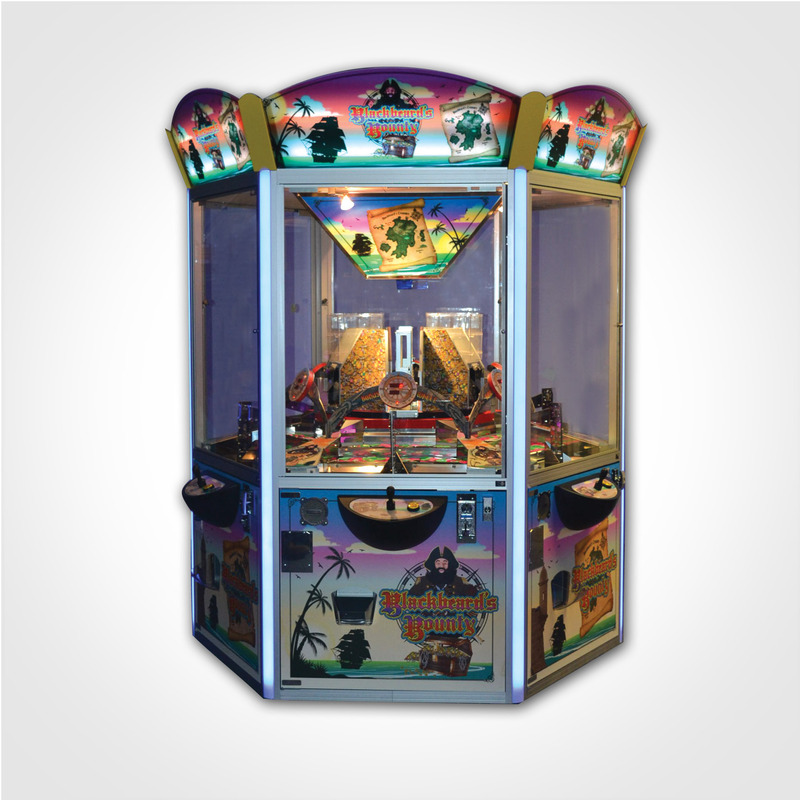 The suspense enhanced during the course of the game by a bonus that yield between 5 and 50 extra tokens. 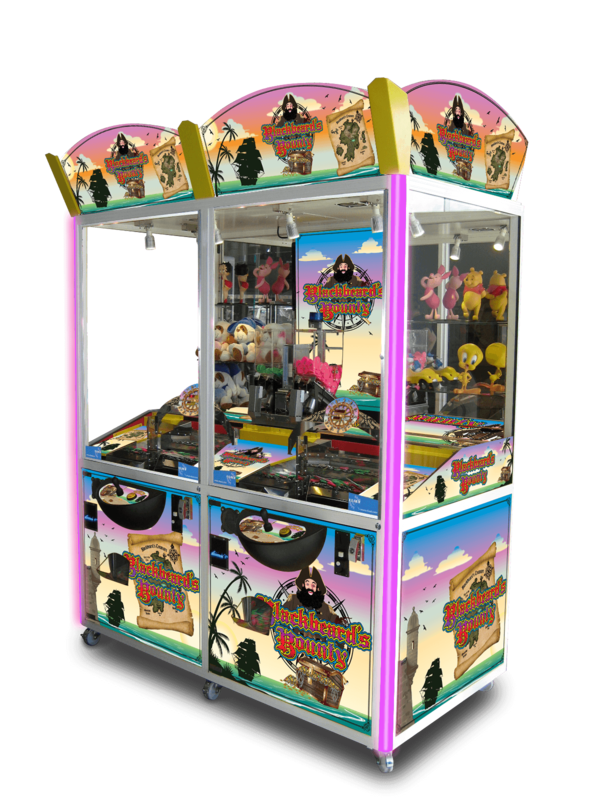 Try to push as many points and cards off the playfield and get as many points as you can. 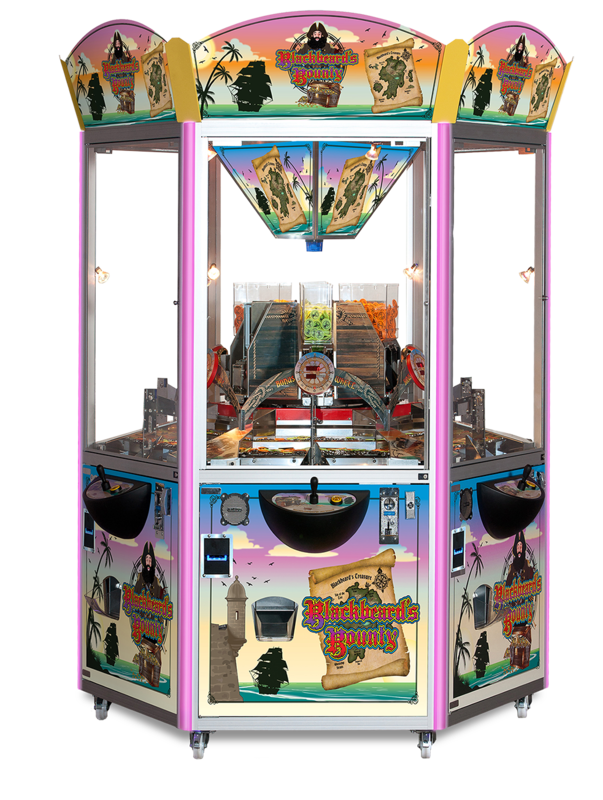 Black Beard’s Bounty is already in operation for a while, operators were impressed with the fully automatic functioning, the players of the attractive and exciting game!